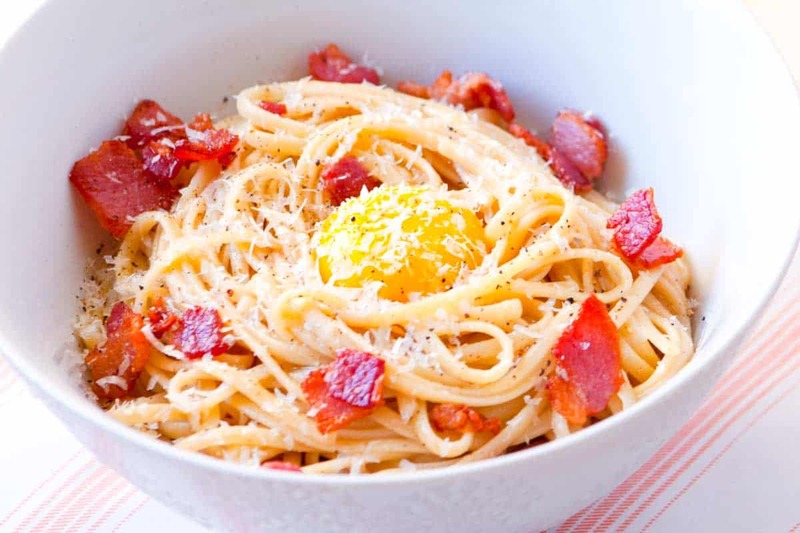 How to make creamy pasta carbonara with eggs, bacon, and parmesan cheese. This is such a fast and delicious dinner. 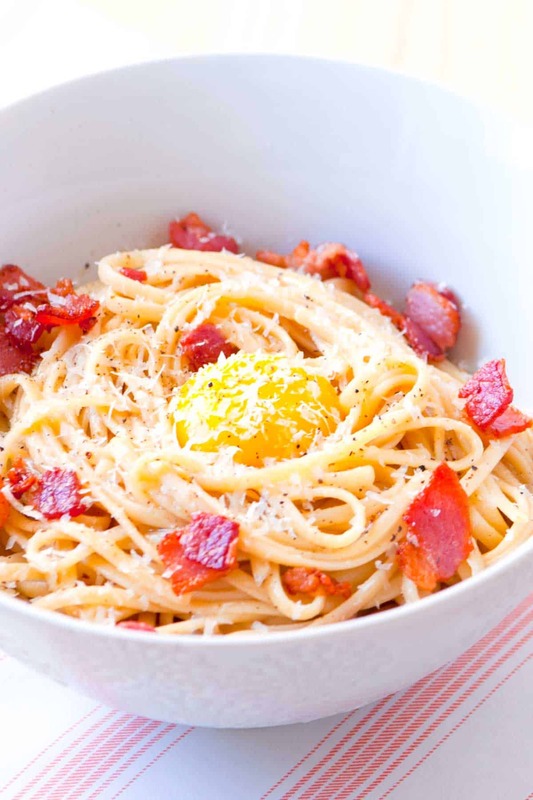 Jump to the Pasta Carbonara Recipe or read on to see our tips for making it. Egg whites and Parmigiano-Reggiano cheese transform into a decadent creamy sauce, while egg yolks sit on top ready to be poked with your fork and swirled into the pasta. 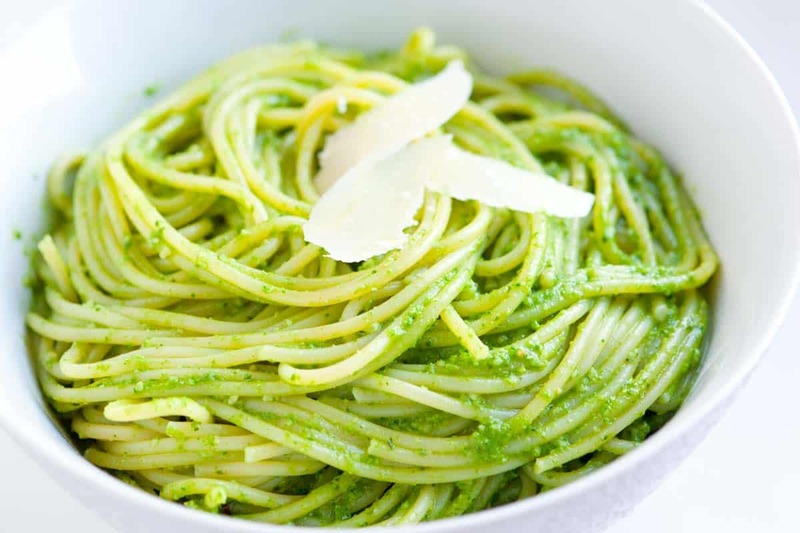 YOU MAY ALSO LIKE: How to make pasta tossed with homemade kale and almond pesto. Jump to the Kale and Almond Pesto Pasta Recipe. Pasta carbonara is delicious and surprisingly easy to make at home. Start by cooking the pasta as well as the bacon until crispy. Take the cooked bacon out of the pan then add the cooked pasta into the pan with some of the bacon fat rendered when cooking the bacon. Add a little hot pasta water, toss things around a bit, and then add the egg whites. After some tossing, a sauce will form onto the pasta. 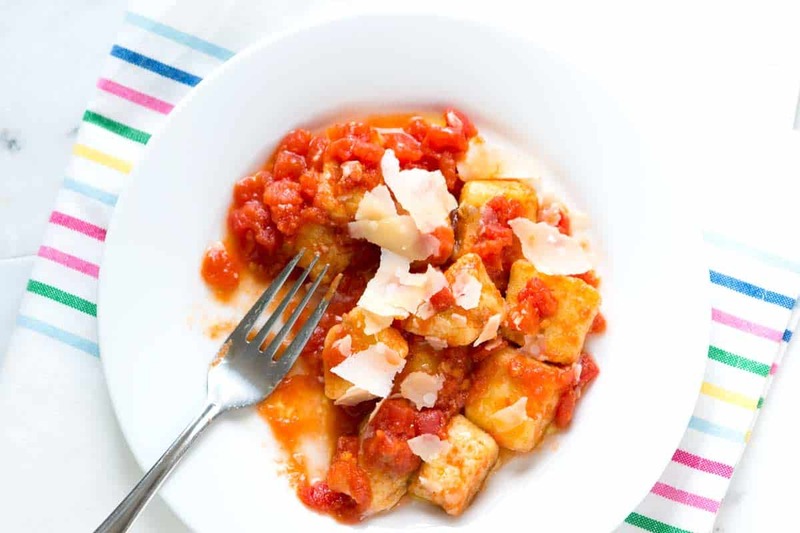 YOU MAY ALSO LIKE: How to make light, pillowy ricotta gnocchi from scratch in about 30 minutes. Jump to the Ricotta Gnocchi Recipe. When eating, use a fork to pierce the egg yolk to coat the spaghetti. When making, be sure to add the spaghetti, egg whites and cheese off the heat. If the pan is over heat, the dish may be too dry. Also, when adding the egg whites and cheese, work fast so a sauce forms throughout the spaghetti. Choose high quality (we like organic) eggs for this. When you serve, the pasta should still be hot, cooking the egg slightly when broken. 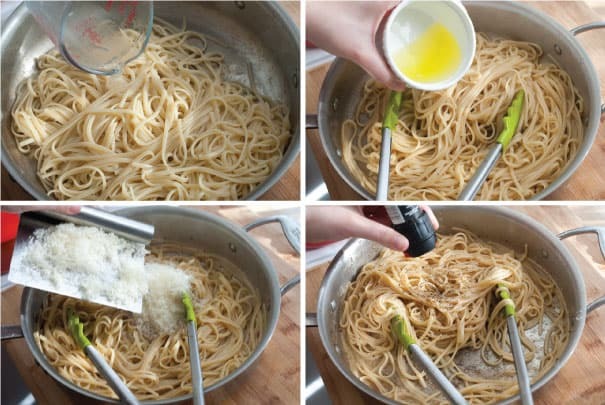 Cook the pasta in boiling salted water until it is tender but not mushy. Reserve 1/4 cup of the hot pasta water then drain pasta. Meanwhile, heat olive oil in a large skillet over medium heat, add bacon and cook until it has rendered its fat and is crisp. Transfer bacon to a plate then discard enough bacon fat so that two tablespoons are left in the pan. Prepare three small bowls. Separate the egg whites and yolks. 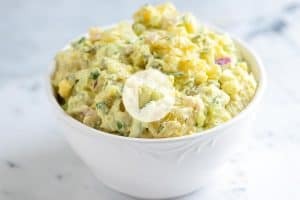 Add egg whites to one bowl then add each egg yolk to the two remaining bowls. Add the pan with bacon fat back onto the heat then add reserved pasta water and pasta to pan with bacon fat, toss and cook 1 minute. Remove from heat then add 1/2 cup of the cheese, egg whites and lots of fresh ground pepper. Toss until well mixed. Divide the pasta between 2 bowls, make a nest in the middle then gently side an egg yolk into each nest. Top with more cheese, bacon and an extra grind of pepper. Serve immediately. 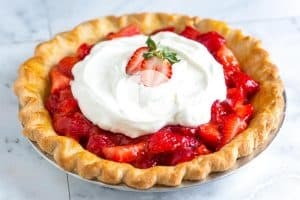 I made this and the taste was insanely good. The problem was, I accidentally destroyed the yolk and just stirred with the white and it turned out good. Since I dont eat pork based product, I substituted the bacon with thinly sliced smoked beef. Hi Brian, So glad you loved it. This is one of our favorites, too. Absolutely LOVED it. Simple and divine. 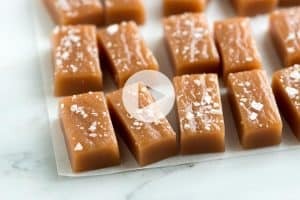 Have made it multiple times since I’ve seen this recipe and turned out great each time. Thanks for posting! 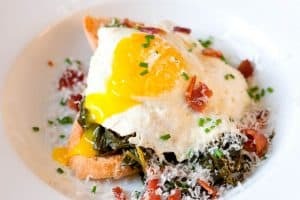 Kale topped with a runny egg, over warm toast – divine!